This week Will Leschber discussses Aphra Behn, sexual symbolism and Shotgun Players’ current production of The Rover. It’s time to transport it all to the Carnival!! When I think of Aphra Behn I think of English Lit in college and my firecracker of a professor who always had a penchant for pointing out the sexual aspects of the various stories we were required to read. What made it funnier was that Professor Firecracker looked like she walked off the set of Golden Girls and into the classroom. 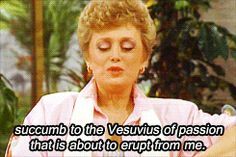 Picture Blanche Devereaux teaching you about the underlying sexual nature of Keats. Like a beautiful misleading costume, she cloaked herself in the veneer of a sweet older lady, but never failed to make sure everyone student was titillated by the unsavory nature of William Blake’s “The Sick Rose” or Wordsworth’s “The world is too much with us” or Lord Byron’s “When we two parted”. I’m not sure I ever wanted to read between the lines of a symbolic Sick Rose but I can’t unsee the crimson symbolism now. Thanks Blanche!! Along with these old white dudes of the Romantic Era, a pillar of female Restoration writing was plenty discussed as well. English lit! You gotta cover everything! In the end, Professor Blanche was right… linking Aphra Behn to using a lens of sexuality and gender politics isn’t that far off base, considering her work still invites a discussion of gender roles and stereotypes 300 odd years after it was initially written. Shotgun Players, which is celebrating it’s all female playwright season, gets into the Halloween spirit through all manner of costume and mask, with Aphra Behn’s Restoration Era classic, The Rover. The play follows three women pushing on masked gender expectations in this comic romp that takes place in Naples during the Carnival masquerade. Boom, I told ya! The play is on and it’s just as funny as it was when it premiered back in 1677. What’s that now? You need some movie recommendations to wet your abridged attention span before going to check out The Rover? Alright…here goes. There you have it folks; something old, something new, something sexual and something to do. If you aren’t into the scares this Halloween but still want to get into the carnival costumed spirit, check out The Rover at Shotgun Players; It runs now until November 15th. Black Orpheus can be found on Youtube. Watch at your own pleasure. 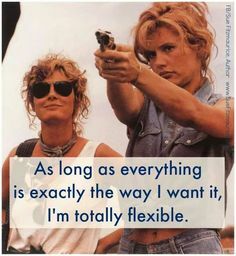 And Thelma & Louise can be found at all video stores circa 1992. Enjoy!